Piet Mondrian is not only the Leading exponent of "geometric abstraction", but one of my preferred artists of all times. A pursue for a pure form of abstract art, distilled to it's basic elements of line and color. 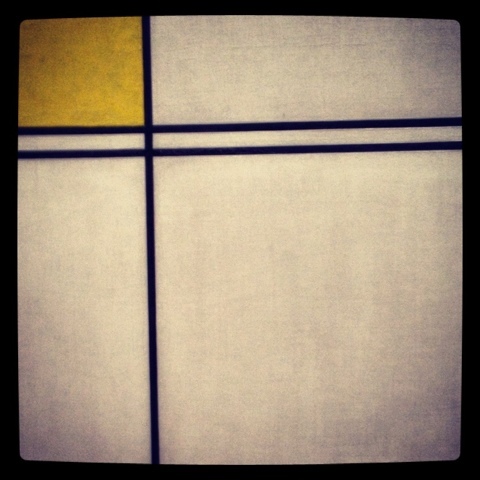 The dynamic combinations of black lines on broad expanses of white, balanced by small areas of intense color.